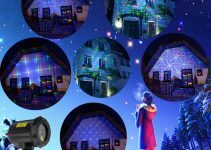 The holiday season is approaching and it is almost the time of year to put up the lights and unpack the holiday decorations. 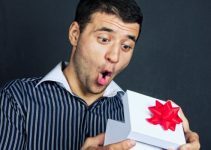 A Christmas tree is the ultimate way to invite holiday cheer into your home, but bringing a live tree into the house can sometimes be quite a hassle. Having a quality artificial Christmas tree ensures that you will have a beautiful and sturdy tree each year that is simpler to put up and avoids the mess of pine needles littering the house. Artificial Christmas trees come in many varieties that can be chosen to fit the style of your home and create a beautiful embodiment of the Christmas season. Following are a few things to consider when deciding which artificial Christmas tree to purchase for your home. Size: Pick a tree that will fit within the height and width of the desired spot in the house. Trees may range from full to pencil in girth and may be anywhere from three to 12 feet in height. If space is not so much of a problem, consider how many ornaments you may have and the difficulty in decorating various sizes of trees to help make a decision. Style: Artificial trees come in different hues of green and may also have permanent additions, such as pine cones or flocking, so choose one that best fits your decoration style. The style of branches may differ as well, some trees having long pine bristles and others having shorter ones. Pre-lit or Unlit: Trees may come with lights incorporated, and there are different light colors to choose from. If you prefer to align lights differently or use a unique color, opt for an unlit tree. Price: Take into consideration what you are willing to pay, the features you want in a tree, and other details, such as warranty and included items, which you may find important when making the decision. The lighter green needles of these branches with the brown tinting of the stems result in a natural looking tree that closely resembles the live balsam firs that have been popular during Christmas seasons over the years. Balsam Hill has utilized its True Needle™ technology, and paired it with classic PVC needles in the tree’s 4,500 branch tips to create a full-bodied, teardrop-shaped tree that is realistic in appearance. Although it is unlit, the sturdy branches of this 6.5-foot tree allow for ample strands of lights, various decorations, and favorite ornaments to be hung. This Christmas tree comes with a tree stand, storage bag, and gloves, and the three sections of the tree are simple to assemble and take down. It is packaged compactly to ensure easy shipping and storage, so it is useful to use the gloves to fluff the tightly-packed branches when setting it up, so that it becomes full and more natural looking. Coverage by a 10-year warranty will allow for the enjoyment of this tree over the many years to come. Resembling the beautiful blue spruce, the Adirondack Spruce Tree is designed with the deep emerald-colored needles of a traditional Christmas tree. 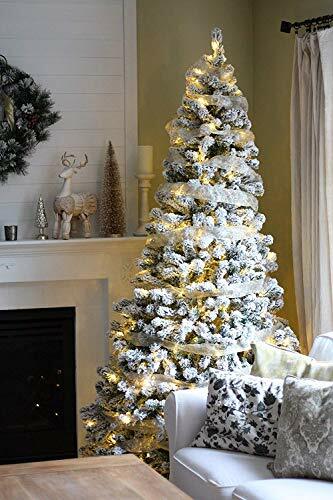 The 2,366 branch tips of this unlit 7-foot tree are covered in plentiful PVC needles that give it a full shape and an attractive, cone-like silhouette that is natural in appearance. 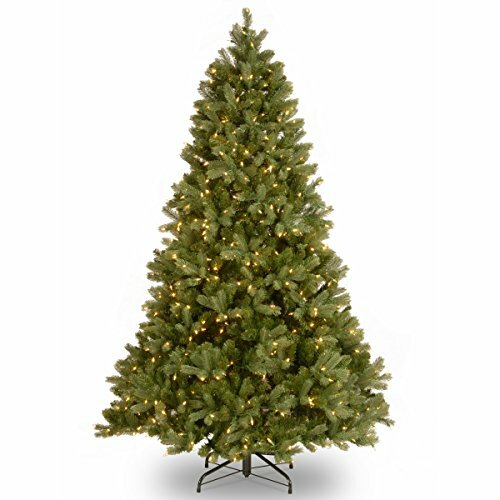 Its sturdy, almost horizontal branches are ideal for hanging ornaments, lights, and other décor. To achieve fullness of the branches, use the gloves that come with the tree to adjust and fluff them. The tree also comes with a stand and manageable storage bag, making the entire process of assembling, taking down, and storing this tree simple. Foliage warranty is included for this tree and spans five years. 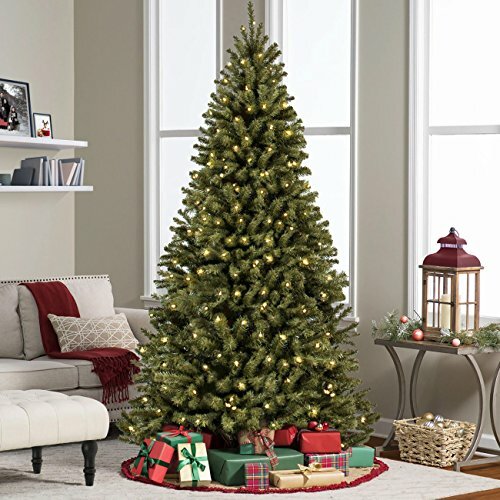 Traditional deep green PVC bristles with hints of brown give this artificial tree a more natural look, and the branches are pre-lit with 550 clear lights that will give your home a warm glow. Although the branch tip count lies on the lower end at 1,346, the sturdy branches leave room for plenty of decorations and ornaments. Some adjustments and fluffing of the branches can give the tree a more full appearance. This 7.5 foot tree comes in three hinged sections that make for easy assembly and storage, and it comes at a price that won’t break the bank. One downside to this tree is that a faulty light may result in an outage in the entire strand of lights. This stunning artificial Douglas Fir Christmas tree features Feel-Real branch tips that have been molded and created to closely resemble the bristles of a live Douglas Fir. The wired branches make this tree easy to fluff and adjust, while remaining sturdy to hold precious ornaments. The tree comes with a metal stand and is easy to assemble with branches that fold out. The realistic green foliage on this full tree, paired with 650 clear lights, make for a beautiful addition to the Christmas season. The lights on this 6.5-foot pre-lit tree are well-designed so that an outage in one bulb will not affect the others. Lighter green needles cover the branches of this 7.5-foot tree, resembling those of a live fir. These 2,514 branch tips make for a full-bodied tree with an attractive teardrop shape that spans 59 inches in diameter. Sturdy, yet bendable, branches make it simple to hang various ornaments, lights, and other personal touches on this tree. These branches are attached to the center trunk pole by a hinge, allowing the three sections of the tree to be easily assembled atop the included durable stand. Because the branches and needles on this tree are stiff, it is recommended to wear gloves or arm protection of some kind to avoid scratches and irritation. Various types of cashmere and traditional bristles cover this Christmas tree, ranging from long dark green bristles to thin, lighter green bristles, making this tree truly unique. Furthermore, small pine cones that are lightly flocked with a light green moss-like material give a beautiful, natural touch to this artificial pine. The 1,393 branch tips lie on the lower end of the branch count, but the varieties of bristles on this tree, along with proper fluffing of the hinged branches will make this tree appear full. 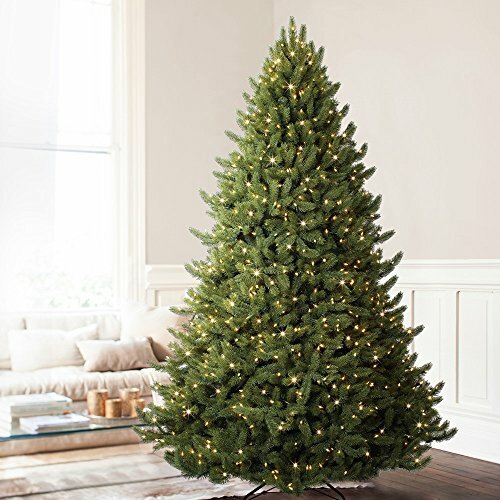 This 7.5-foot tree is prelit with 750 clear UL lights, which are specially locked to prevent any bulbs from coming lose and falling out. The lights will stay lit if one bulb burns out, and the tree includes extra bulbs and fuses. Also included with the tree is a stand, a five year warranty on the tree, and a two year warranty on the bulbs. Snow-dusted bristles of this flocked tree bring a bit of winter wonderland into the home. The branches of this 6-foot tree are hinged to the three metal center pieces atop a stand, making the tree quick and easy to assemble and dismantle. The flocking is high quality and will not come off easily while assembling the tree. The cone-shaped body is very attractive and will fit well into cozy spots with a narrower base of 40 inches in width. A downside to this tree is that it has a low number of branch tips, with only 728, creating potential gaps in the tree. The good news is that the longer flocked bristles and easily adjustable branches make this tree simple to modify so that the gaps may be covered with some fluffing. The branches are secure to hold various ornaments and lights. Overall, this tree is a great buy for the price. This grand artificial Christmas tree stands at nine feet tall and has a width of 62 inches at the base, making a large festive statement for the holiday season. 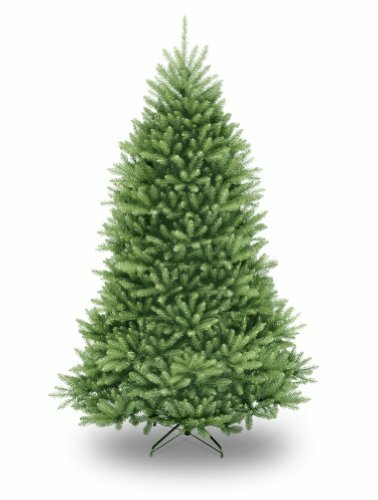 A combination of traditional green PVC and PE bristles give the King Fraser Fir tree a natural look and feel, while the meticulous placement of the 3,884 branch tips and branches form a full and clean-cut body. A metal stand and storage bag are included with this tree, and the Quick-Shape technology of the hinged sections attached to the center make it quick and simple to put together, take down, and store. 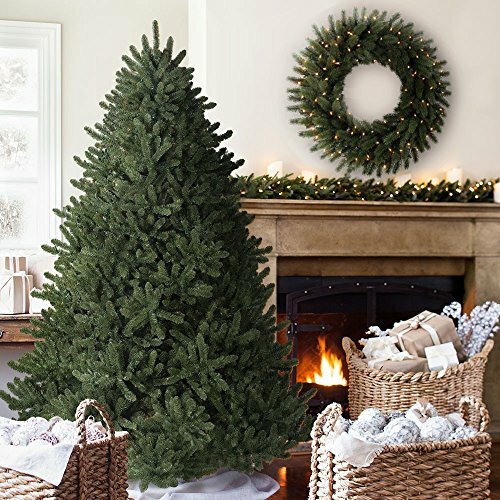 Fluffing and adjusting the branch tips and bristles upon assembly provides a fuller body, while leaving plenty of space for lights and treasured ornaments on the durable branches. 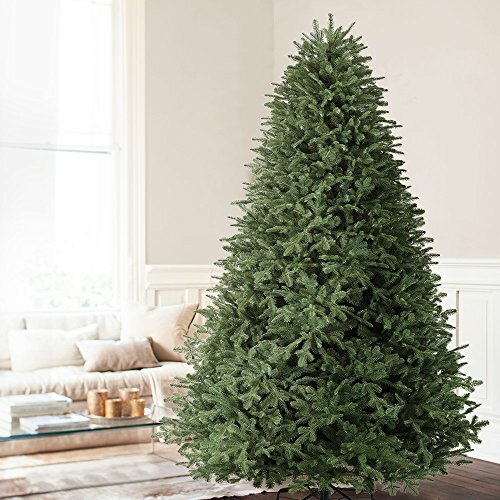 This spectacular 9-foot spruce was created using Balsam Hill’s True Needle™ technology with a mix of traditional PVC needles for an incredibly realistic look and feel, as well as a full body that resembles a live white spruce. 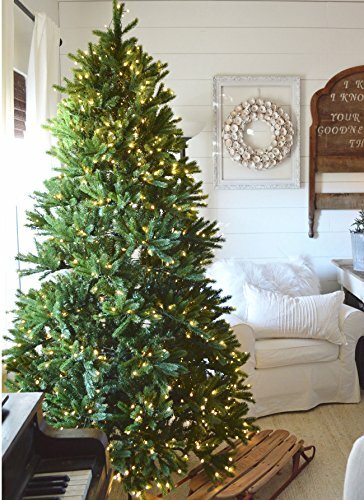 The 3,926 branch tips are pre-lit with 1,500 clear UL lights that are strung through the trunk of the tree with Easy Plug™ technology to aid in easy assembly and assure that there are no unsightly wires among the branches of the tree. If one bulb dies, the rest will remain lit. Included are extra bulbs and fuses in the case that a bulb burns out, as well as a foot pedal to easily turn the lights on and off. The tree comes in three pieces and can easily be put together with the included stand. Cotton gloves also come with the tree to facilitate in easy assembly and adjustment of the branches. 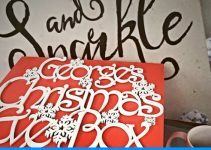 The upward slanting angle of the sturdy branches is perfect for holding any ornaments and ensuring that they stay put. This tree is covered by a 10-year foliage warranty and a 3-year light warranty. The green bristles of this tree contain brown tints, giving it a slightly natural appearance that mimics a spruce. This 7.5-foot tree is covered in 1,346 branch tips, so there may be some gaps in the foliage that may need to be improved with some extra fluffing and adjustment to the branches. The tree comes in three hinged sections that make assembly and adjustment simple. A collapsible steel stand is included to keep the tree standing sturdy. 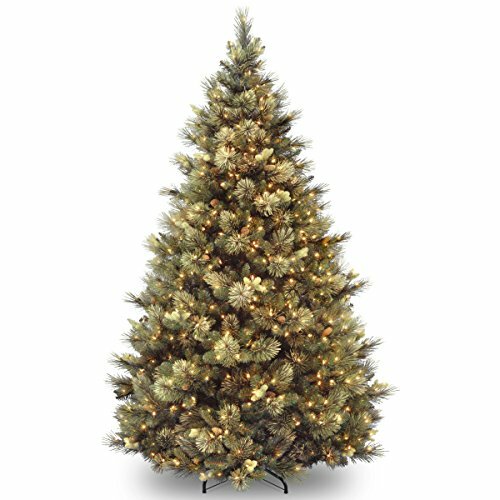 A shortcoming of this tree is that some of the upper branches are not strong enough to hold heavy ornaments or a large topper, but all in all, this tree is quality steal for the price.